Man, I love this website. Solid work top to bottom here. It’s not often you see something so well put together that isn’t the actual agency’s site itself. Spend some time here folks, pick it apart to learn. 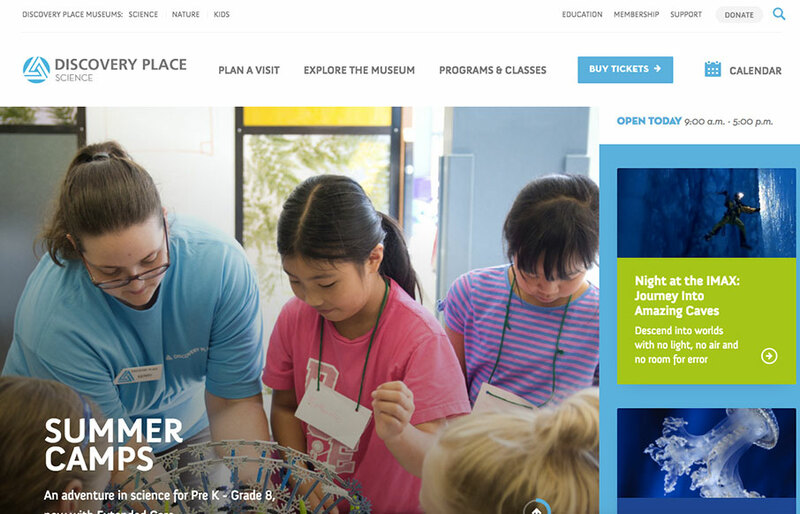 For curious thinkers of all ages, Discovery Place helps you see science everywhere and understand its power to transform the ordinary into the extraordinary.